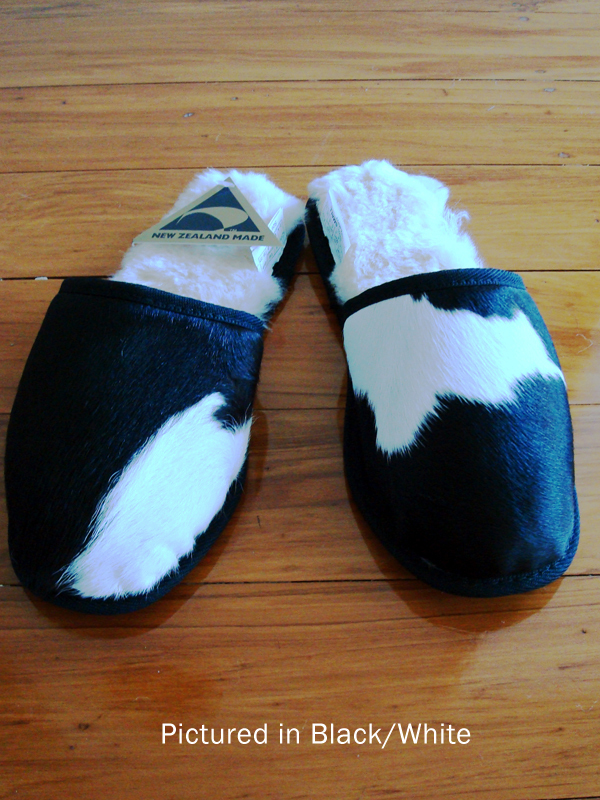 These fabulous New Zealand Friesian cow skin scuffs feature random spots and New Zealand sheepwool soles for the ultimate in coziness and warmth. 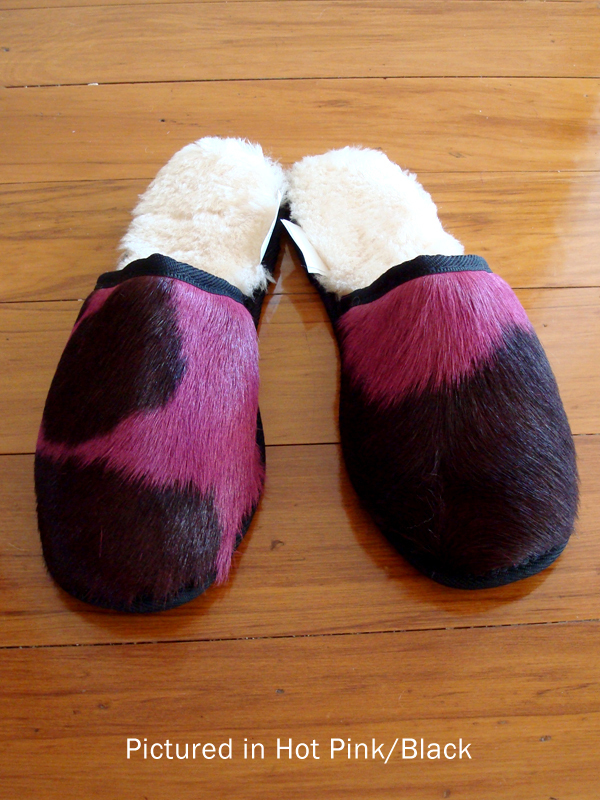 We hand cut the moomoo hides to get the best spot placement these natural hides allow us per hide. 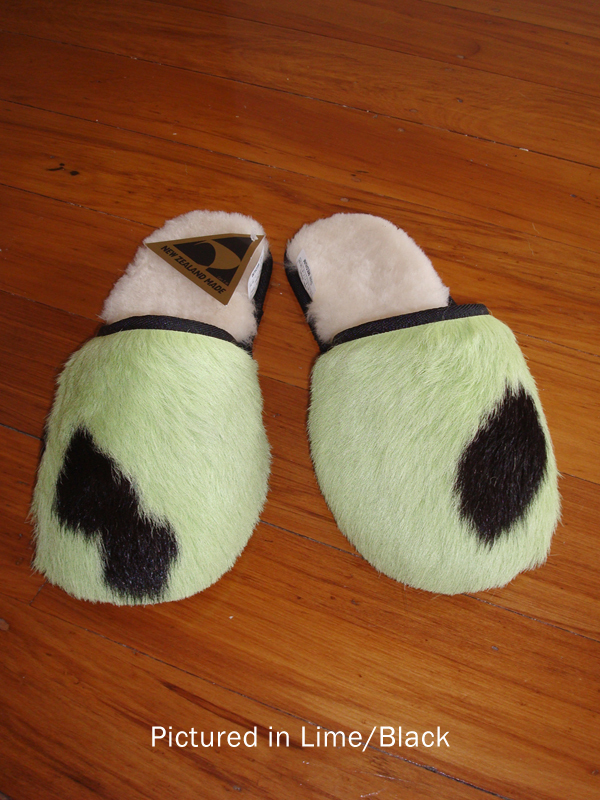 As such, every pair is different and interesting and the pictures here are only indicative of the varied markings that occur in Nature. 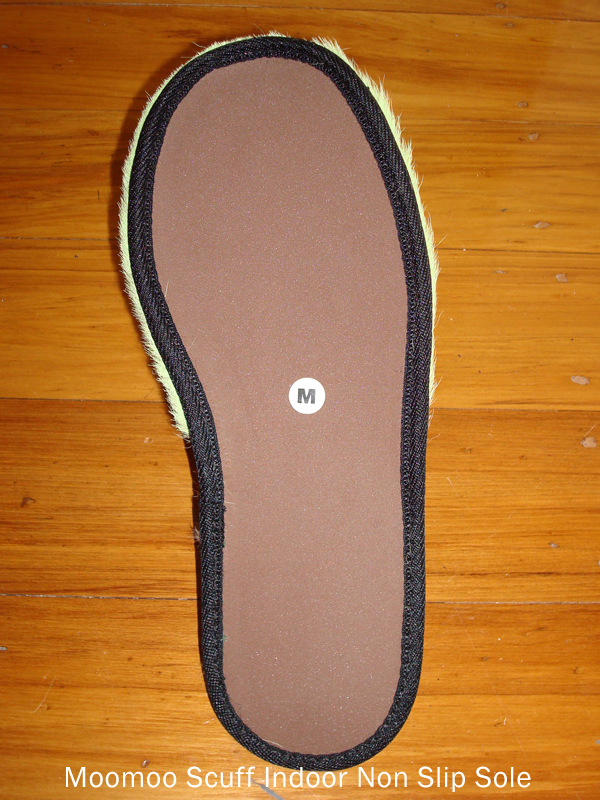 They have an indoor non-slip and non-rot EVA sole. 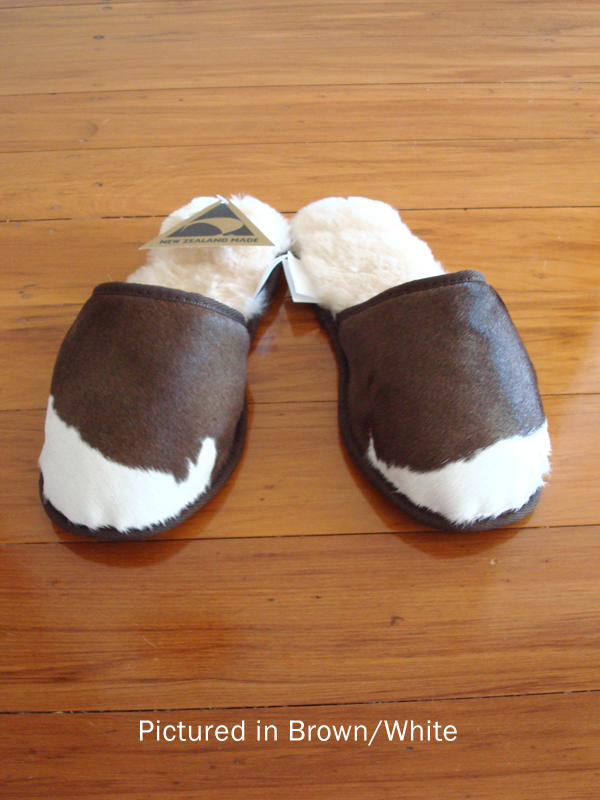 Comfortable, warm and funky! • Because our products are all from natural resources, there will always be differences in "spottiness" and hide texture in each item. • The black spots may contain traces of brown.